We - yes that's appropriate since there are 2 of us. Since the day when we were thrown into the dark corner we have been awaiting for your warmth touch. Days, weeks and months passed by like light years. Why did you neglect us? We deserved better place than the dark corners. We eagerly waited to be picked up when the footsteps got closer to us each time. Even though you were a finger tip close to us several times, you ignored us for long. What changed your mind now? All long waited moment has come...a ticklish shiver of joy passed through us when you picked us with care and ran the silky strands though us. Yes, this is the place we belong to. Don't you agree that we look much prettier here than in the dark cold corner? - She viewed herself in the mirror. Yes it looks much prettier now. With great contentment she adored the 2 buttons she sewed on to her jacket that was lost last winter!! 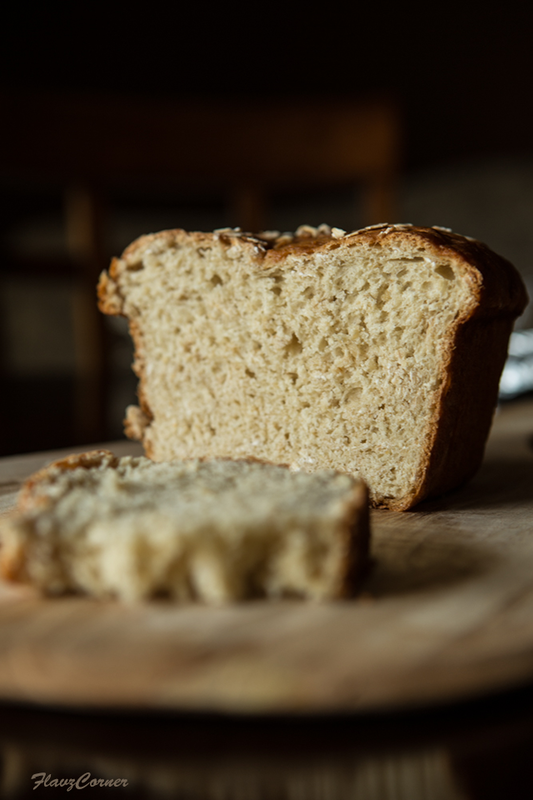 A homemade bread recipe is a must in the repertoire of a blogger. I am not sure why it took so long for me to post one. 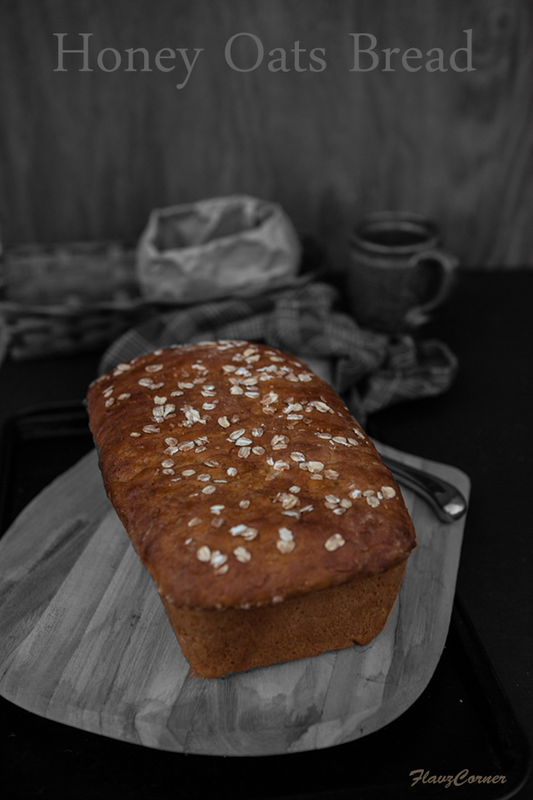 I baked this beautiful bread on the weekend that made my entire house smell like a bakery. And speaking of which, who doesn't like fresh baked homemade bread? My blissful face proclaimed that something good was happening in the kitchen to my hubby's curiosity. The freshly baked aroma of the bread was irresistible in the first place; hubby and kids came to see if they could get a slice; but I had to guard the bread like a 'chicken protecting her chicks' from eagle for the pictures. I had to wait for the bread to cool completely, but it was too good to resist. Finally I did the ceremony of cutting the bread. We enjoyed the warm slices of the bread with homemade mixed berry jam and some milk. Its a lightly sweet hard crust bread with a soft texture. Add 1 tsp. of sugar and 2 1/4 tsp. yeast to 1 1/3 cup of luke warm water and mix gently and leave it to get activated for 5 - 10 minutes. Mean time in a mixing bowl of a stand mixer or regular mixing bowl, combine all the dry ingredients. Add the frothy yeast mix, melted butter and honey to the dry ingredients. Attach the dough hook and knead for 2 to 3 minutes till everything is mixed well. If you are not using a stand mixture, just knead it till everything is mixed. The dough will be sticky. Apply 1 tsp. of oil on the dough and cover with a kitchen towel and keep it in warm place to rise for at least 1 hour or till the dough rise and attains double its volume. Grease a standard 9'' x 5'' loaf pan. Take the proofed dough out the bowl and place on a floured surface or clean kitchen counter. Flatten with your hand to form a thick circle. Roll the dough once into a log shape. Pinch together the seem sides and the ends. Place the rolled dough into the loaf pan with pinched sides down. Cover the dough with kitchen towel and let it rise for another hour. Brush the top of the proofed bread shaped dough with warm honey and sprinkle the oats over it. Bake the bread for 40 minutes in the middle rack till the top gets light brown color. Wrap the bread in aluminum foil and store outside for 2 days. If planning to store more than 2 days, keep it wrapped in refrigerator. You can use instant oats instead of rolled oats. While baking, if you notice the top of the bread is getting browned fast, keep it covered with aluminum foil for first 20 minutes and remove the foil and finish baking. Wait till the bread is completely cooled before cutting, otherwise the slices will not come out good. Use a serrated knife to cut the bread. You can make sandwiches and French toast with this bread. You know that I've never made bread. and nonetheless if I only have bread for a meal I'm glad with that? My father had a bakery and that's the reason I've never made bread. But looking at these amazing photos and reading your recipe I feel like I should give it a try. Great photos and great recipe Shibi. Nothing beats homemade bread! 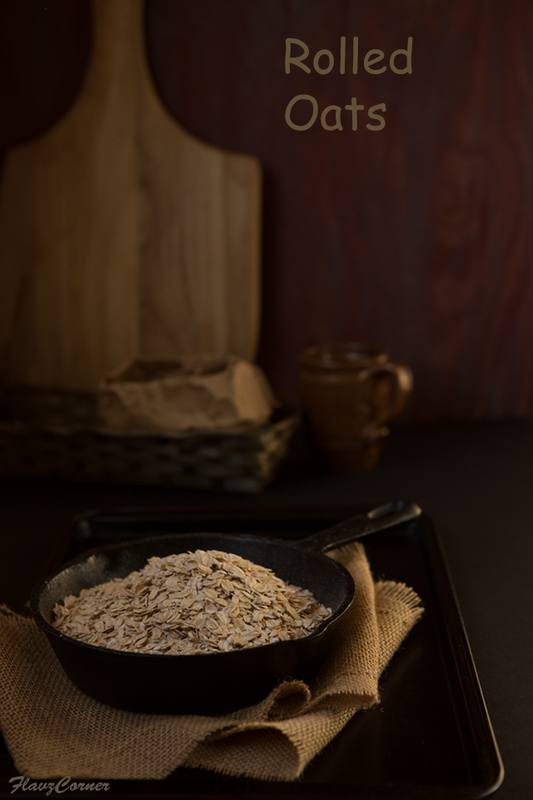 Love the rustic look of this your oat bread. Love the moody, rustic pics. I can almost smell the bread ! Shibi I am really loving those brown tones so well executed here.Bread looks awesome. Oats work really well in bread -- I love the flavor they add. This looks like a nice, sturdy loaf loaded with flavor. Good stuff, I'd say. ;-) Thanks for this. 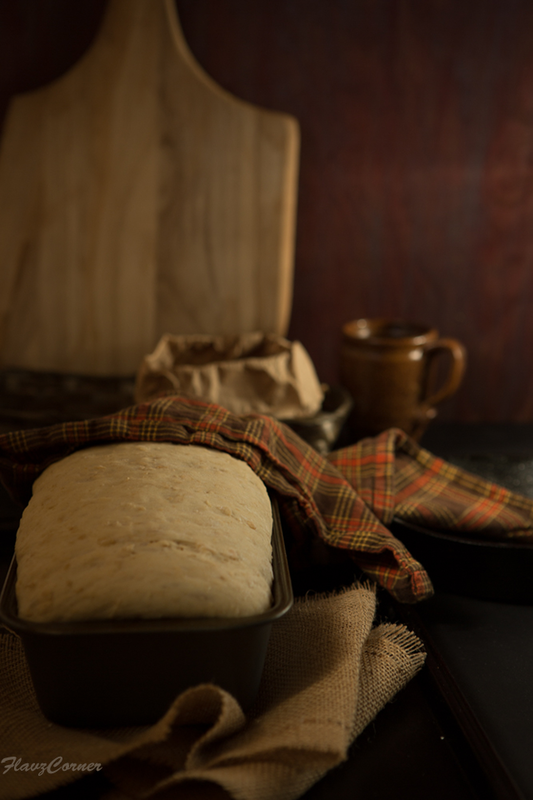 loving the mood and clicks,the bread looks perfect like store brought..no wonder your house smelt like a bakery..beautifully baked,Shibi!! Love honey oat breads. Love your photos even more. Pinned. Love honey oat bread! It's one of my faves! This looks so great! Utterly beautiful and moody pics with hues of browns. Loving it. The bread looks perfect and just as you described. I am pinning this recipe right away.